Banana as we all know belongs to the Vitamin class of foods with rich nutritional benefits. It also serves as an instant energy booster, banana is one fruit that is available across the whole world It is a common feature in breakfast menus, and it is definitely with good reason. It provides you instant energy to kick start your day, and is said to be very good for the stomach. Most natural home remedies in India circling around an upset stomach, call for using bananas as a remedy along with a few other ingredients. A single piece of banana is said to contain only 90 calories, which also makes it a great (and healthy) snack to munch on rather than sugar loaded goodies or deep-fried treats. The banana is an edible fruit – botanically a berry produced by several kinds of large herbaceous flowering plants. In many countries, bananas are used for cooking may be called plantains, in contrast to dessert bananas. The fruit is variable in size, color, and firmness, but is usually elongated and curved, with soft flesh rich in starch covered with a rind, which may be green, yellow, red, purple, or brown when ripe. The fruits grow in clusters hanging from the top of the plant Worldwide, there is no sharp distinction between “bananas” and “plantains”., “banana” usually refers to soft, sweet, dessert bananas, particularly those of the Cavendish group, which are the main exports from banana-growing countries. By contrast, Musa cultivars with firmer, starchier fruit are called “plantains”. In other regions, many more kinds of banana are grown and eaten, so the binary distinction is not useful and is not made in local languages. Let’s take a look into the nutritional breakdown of bananas and it shows some of the following. 1. It Has High Fiber Content Banana has high content with fiber, both soluble and insoluble. The soluble fiber has the tendency to slow down digestion and keep you feeling full for a longer time. Which is why bananas are often included in a breakfast meal so that you can start about your day without having to worry about the next meal. 2. It Helps in Keeping the Heart Healthy High fiber foods are said to be good for the heart. According to a study done by University of Leeds in UK, increasing consumption of fiber-rich foods such as bananas can lower risk of both cardiovascular disease (CVD) and coronary heart disease (CHD). 3. 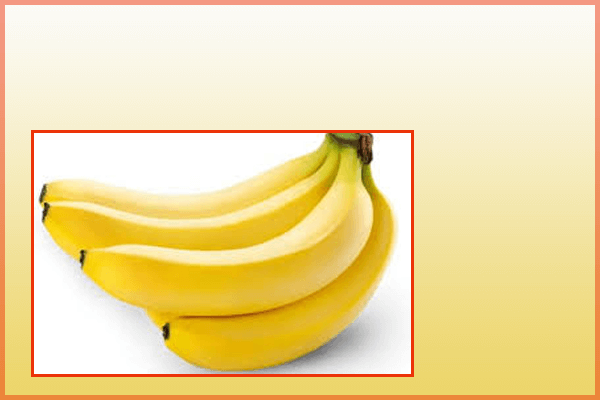 It Helps to Ease Digestion According to Ayurveda, banana has a sweet and sour taste. The sweet taste is said to bring about a sense of heaviness but the sour taste is known to stimulate Agni (the digestive juices), thereby supporting digestion and helping in building up metabolism. 4. It serves as Powerhouse of Nutrients. Banana is a heavyweight when it comes to nutrition. It is loaded with essential vitamins and minerals such as potassium, calcium, manganese, magnesium, iron, folate, niacin, riboflavin, and B6. These all contribute to the proper functioning of the body and keeping you healthy. 5. High Source of Potassium The high content of potassium in bananas makes it a super fruit. This mineral is known for its numerous health benefiting properties – it helps in regulating heartbeat, blood pressure, and keeps the brain alert. 6. It Helps to Regulate Blood Pressure It is a known fact that salt is the evil when it comes to high blood pressure. Bananas have low salt content and high potassium content, and these properties contribute to making it ideal for those undergoing this condition. 7. It Can Help to Fight Anemia Due to the high iron content in bananas, they are good for those suffering from anemia. Anemia is a condition where there is a decrease in the number of red blood cells or hemoglobin in the blood. This leads to fatigue, shortness of breath, and paleness. 10. Bananas May Help with Weight Loss No study has directly tested the effects of bananas on weight loss. However, bananas do have several features that should make them a weight loss friendly food.For starters, bananas contain relatively few calories. An average banana contains just over 100 calories, yet it is also very nutritious and filling.They are also rich in fiber. Eating more fiber from fruit and vegetables has repeatedly been linked with lower body weight and weight loss Furthermore, unripe bananas are packed with resistant starch, so they tend to be very filling and may reduce your appetite. These are some ways that BANANAS can be very helpful to the body, regular consumption of it. Yeah, If you say so. Thanks for checking in.